It’s Not Baseball. It’s Life. Berkshire Baseball stretches across 130 acres in southeastern PA, with eight baseball/softball fields (including a replica of Fenway Park) and four multi-purpose fields (soccer, lacrosse). It is the ideal location for a wide range of outdoor activities. Berkshire Baseball began with a few high school buddies attempting to hang on to their glory days. It became much bigger and more meaningful than any of them could have imagined. They began to understand the wisdom of knowledge and the importance of sharing these insights with the next generation. It was the circle of life. It wasn’t just baseball, it was life. Due to recent events, Berkshire Baseball wanted to overhaul its brand message… fast. A mutual consulting expert, Al Weber with Tweed-Weber-Danks, recommended CrossRoads Studios. In short order, Berkshire Baseball President Dan Clouser showed up at the company door. He arrived with a big vision, a rough logo concept scratched out on a notepad, a large pending event and no time to spare. Dan sold the vision: Berkshire Baseball impacts millions of people, every year, through sports and community service. Additionally, as a premier sports destination, Berkshire Baseball serves as a major economic driver in the community. support and drive the local economy. CrossRoads Studios focused on the challenge and got to work. We approached CrossRoads Studios with some scribble on a piece of scrap paper, a crazy timeline and a vision of why we were rebranding. They took the time to listen to our story and understood the vision for our organization. They delivered an absolutely amazing and powerful logo well before our deadline. I would highly recommend CrossRoads Studios. CrossRoads Studios focused the BIG Vision Foundation brand, including general brand logo implementation, such as stationery and templates. 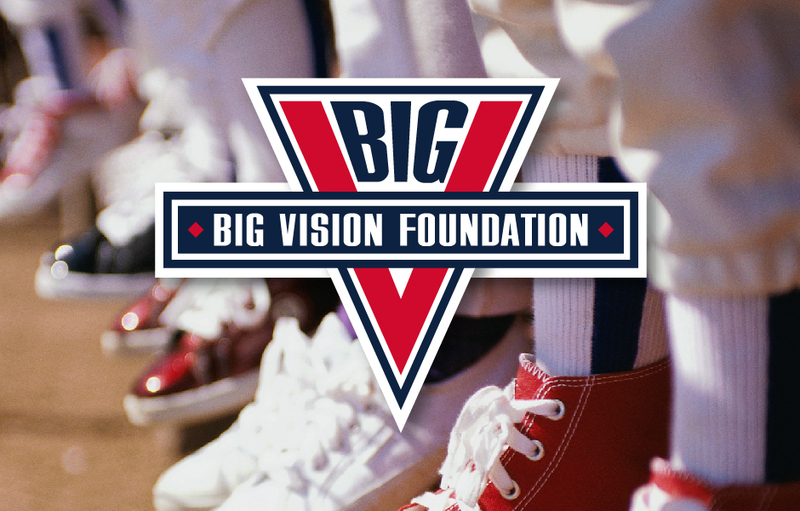 CLIENT NOTES: BIG Vision Foundation is a nonprofit, 501(c)(3) youth and adult baseball and softball organization. BIG Vision Foundation provides opportunities to interact using sports, culture and community service. Goals include programs to unify communities through positive behavior and reinforce life and leadership skills. Fields are named after local athletes, such as Whitey Kurowski, Charlie Wagner, Rocky Colavito and more. Olympic softball champion, Jennie Finch, holds a softball camp at the BIG Vision Foundation facility. Dan Clouser is author of The Beauty of a Diamond, Through the Eyes of a Coach, 2012.